Voters in New York City have resoundingly elected to place term limits on community board members. The vote, roughly 72 percent to 27 percent as of press time and with 86 percent of scanners reporting, will limit community board members to a maximum of four consecutive two-year terms. The provision will go into effect in April 2019, and terms served prior to that date will not count toward the term limit. Board members who serve the maximum length, however, can still re-apply to be on a board after two years out of the position. Community board members currently serve two-year terms, and are re-appointed without limit. The proposal was one of three measures pertaining to the city charter that were up for a vote as part of the Nov. 6 elections. One measure called for lowering campaign contributions for candidates in city races while boosting the amount they can receive in matching public funds. That measure passed by roughly 80 percent of the vote, with 87 percent of scanners reporting as of press time. The other measure asked voters to create a “Civic Engagement Commission” in an aim to increase participation in the democratic process through many levels, including providing resources to community boards like access to technical professionals and language resources. This proposal received 65 percent of the vote. The community board term limits proposal, additionally, requires that borough presidents seek out persons of diverse backgrounds for appointment. While discourse on the ballot proposals played out at length in the weeks leading up to election day, the community board term limits measure saw the most buzz, with high profile officials arguing for and against it. Mayor Bill de Blasio, for instance, supports the proposal, along with Brooklyn Borough President Eric Adams. The City Council’s Progressive Caucus, which includes Council Member Stephen Levin, also backed the proposal. Supporters say the measure would ensure turnover, the inclusion of new members with fresh ideas, and make for boards that are more representatives of their communities—ultimately bolstering democracy. Advocates for term limits also argue that board members are not actually limited, and can be reappointed after stepping aside for one full term. Detractors, however, argued that the measure would weaken boards, believing that members with institutional knowledge—particularly pertaining to land use and development—would be forced out, while powerful forces like real estate developers would stand the most to gain. Those against the measure included all borough presidents except for Adams, along with City Comptroller Scott Stringer. “To impose term limits on these members serves to further empower real estate developers and the lobbyists and technical advisors who appear on their behalf before the community boards,” reads an August letter sent by the four borough presidents to the city’s Charter Review Commission, according to reports. While the issue of term limits played out on a citywide scale, locals in Brooklyn’s Community Board 1 have waited years for their board to undergo reforms. Many have complained that the board, which covers Greenpoint and Williamsburg, suffers from poor attendance, with frequent offenders still remaining on the board despite their absence record. 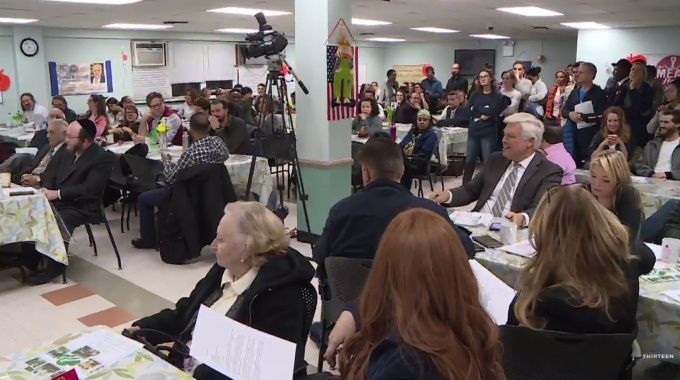 The issue came to the fore last year, when the North Brooklyn Progressive Democrats, a local group, submitted attendance reforms for the board to consider. They called out five members who had repeatedly failed to show up to meetings over several years, yet still remained on the board. The board agreed shortly after the reforms were submitted to review and revise their bylaws to reflect removal procedures for lack of attendance. After several months of deliberations, setbacks and continued questioning, the attendance committee at last clarified their bylaws, and made absences from meetings grounds for board removal. Attending less than two-thirds of a meeting, additionally, now constitutes an absence. The measures, passed just in June, also came with four board members being ousted for poor attendance.